We’ve been graced with some incredible basketball this season. Due to my schedule and lack of stick-with-it-ness, I have dropped the ball on providing consistent updates over the college basketball season. However, with the most exciting part of the college basketball season just arriving, expect frequent updates over the course of March into early April. 1. The rule changes have created higher scoring averages and higher points per possessions over the college basketball season. Whether the parity of this season is a byproduct or not, it’s been fun seeing teams touch the century mark more often than not. The 30 second shot clock probably hasn’t done much in terms of adjusted tempo. Coaches that want their teams to push the front court, maintain that philosophy. Coaches that want to slow the pace down, well, they slow the pace down. 2. I could pick a superficial ranking and it would still represent one of the highest cumulative losses for a year. The head scratcher is the top 5 ranked teams (in the AP Poll)- combine, at the moment, for 20 losses! The top 10 ranked teams in the AP Poll combine for 46 losses! In recent years, some teams would complete their season with 1 or 2 losses. It seems on any given day, a top team can lose. This presents an interesting scenario for the tournament. Some college basketball gurus are predicting the most unpredictable tournament in its history (which is incredible based on what has happened in the tournament over the last 5 years). Others are saying that because there is so much variance for teams, it could end up being one of the chalkiest tournaments (teams that are supposed to win, do win). As for my update about Butler, the Bulldogs are in the position that I thought they’d be at this time of the year – fighting to remain a relevant name come selection time for the tournament. 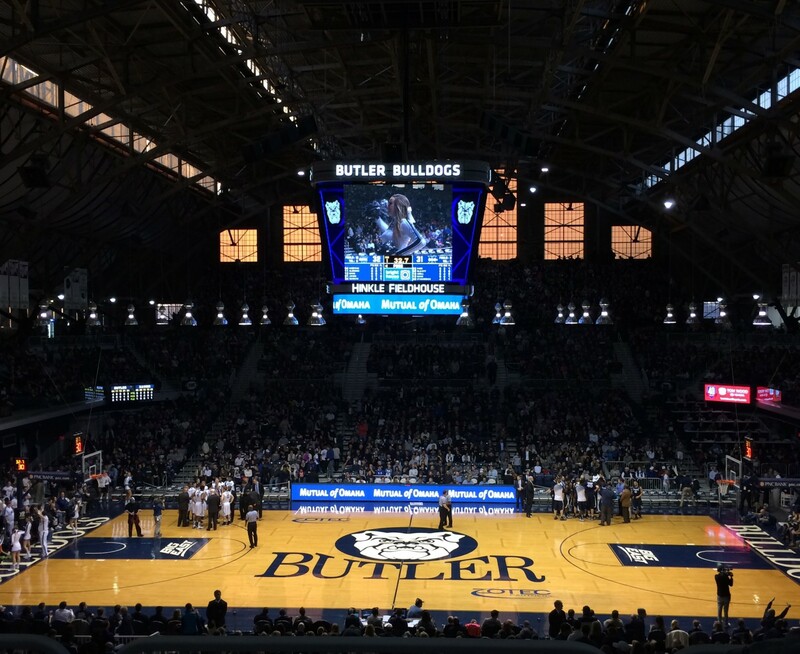 With a weak nonconference schedule, it wasn’t surprising to see the Bulldogs perform well. Knowing full well that Big East play was going to be difficult, it has provided insight into the Dawgs play. With such a large sample size of statistics, tendencies in how teams play is fairly consistent. It’s tough to conceal or hide deficiencies as Ed Cooley had done so well with his Friars (not to mention some unfortunate injuries which never helps) early on in the season. According to Kenpom.com, Butler is very efficient on offense and possesses an average efficiency on defense. (I happened to stumble upon Ken Pomeroy’s website way back in 2007 and I have been a fan of his work ever since. He now has an annual fee to see some of his statistical analysis, specifically for individual teams, but when I found him, it was open access to some incredible information! He has an interesting blog as well as a listing of statistics for every college basketball team in the nation! You can find all of this information here: www.kenpom.com.) If Butler is fortunate enough to draw a team with a weaker defense, they should have a decent chance to play the second weekend. So there you have it! It’s late February and conference tournaments begin this week! It will be fun seeing if there are any bid stealers early this week.